Jetes across the stage, hilarious oversharing and audience participation abounded at Clare Bowditch’s show at the Cardinia Cultural Centre on Friday 15 June. 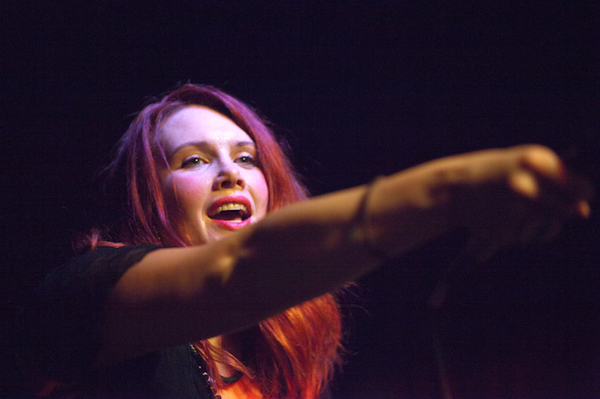 Backed by her four-piece band which included her husband and producer Marty on the drums (to which many jokes were directed), Clare captivated the crowd with her raw musings and smooth vocals. The show was also littered with exclusive material from her latest album, which she has just finished recording. Even with many years in the spotlight under her belt, Bowditch would get giddy with nerves when revealing her new songs. “Do you notice how I talk a lot before I play a new song?” she said with a laugh. Her unapologetic honesty and flair for storytelling made for a night to remember. She spoke of her childhood, early days in the music industry and the highs and lows of motherhood. By the third or fourth song she’d kicked her shoes off and moved freely around the stage. The chemistry between the band members was electric; most of the band has been together for the entirety of Bowditch’s career and the stage banter certainly reflected a bond formed over many years. Proving her ‘if you can talk, you can sing’ theory, Bowditch had the whole theatre singing along with her by the second song. “There was a time when, if you listen to my early tapes, it’s wasn’t apparent I would grow up to be a singer,” she said. “If you don’t think you can sing, if someone has insulted your singing and you want to rectify the situation with courage and comraderie, come to one of my ‘Sing Song Showtime’ events.